Alabama OT and soon-to-be NFL rookie D.J. Fluker let that tweet you see above fly early Tuesday morning. The tweet has obviously since been deleted, from Twitter anyway. It lives on here. 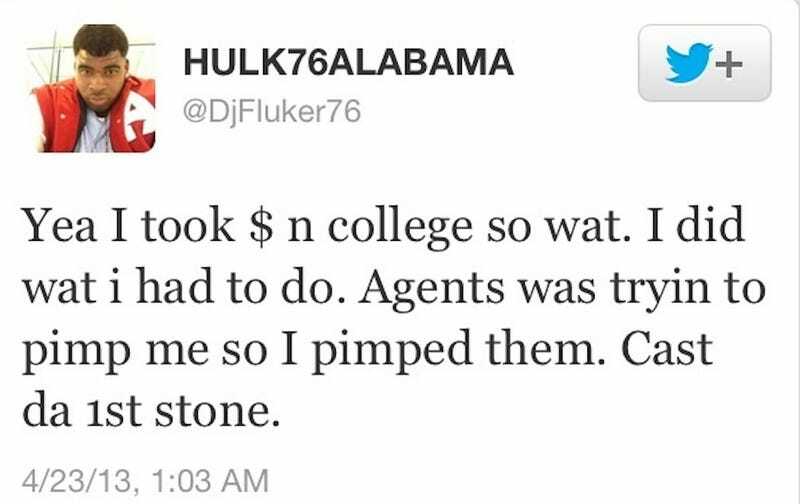 On cue, Fluker's agent tweeted that the account had been hacked and that it will be reactivated after the draft. Sadly, this little incident will allow the NCAA to further insulate itself from attacks by pointing to the meddling behavior of agents on campus. Always remember, the NCAA is basically a bad guy from Scooby Doo.